Posted on April 11, 2019 by Rachel A. Moving is a complicated project. It requires all your focus, time, and big amounts of money. Of course, the expenses of moving can be deducted and it isn’t hard to do so. But what if you happen to be moving in bad weather? If that happens, you will have to be very cautious. And you also have to be ready for something going wrong. Preparing for moving in bad weather can be tricky. Weather is an unpredictable thing. Yes, we know in advance when it’s going to rain, but sometimes we don’t know how much it’s going to rain. That’s why you need to know how to act fast in order to be moving in bad weather. And if you think you don’t know how to do just that, maybe it’s best to just postpone the move. But if that isn’t possible, here you can find out how to play it smart. Bad weather has a big impact on moving. This is very obvious because even if the weather is as good as it can be, you want your belongings to be safe. But when we are talking about moving during bad weather, you want to pack them very safely. Which means securing the boxes well with tape, rope, and plastic foil even. If you do not secure your belongings, you could end up with damages and losses. Wrapping your boxes in plastic foil will keep your stuff dry and will add on extra safety. Clear plastic foil is great because it is see-through and you will be able to see the labeling on your boxes. And so will your movers. Our suggestion is that you hire a moving company such as Miami movers. Movers are professionally trained people who know how to behave in certain circumstances. And if you have already hired a moving truck, you will want to take some extra measures to keep your stuff safe. Moving in bad weather means you will have to take some extra measures. We know moving costs a small fortune and postponing it costs even more, but what if we told you there is a way to make your move completely resistant to any sort of bad weather. 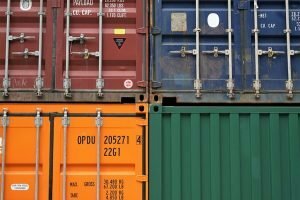 Renting or buying moving containers is the best option. They are big and sturdy which means your belongings will stay safe. Plus you can choose the size of the container that you need. As far as packing goes, there are a few more things you can do. You can put your small electronics, cords, and cables in sealed, waterproof plastic bags before packing them in boxes. Water can easily seep in through cardboard boxes, ruining whatever books, photos or pillows happen to be inside. That’s why it’s good to have plastic boxes when you are moving. You can rent them or buy them. If you buy them, you can save them for storage purposes. Sometimes getting a shipping container is the best option. How to prepare for moving in bad weather? 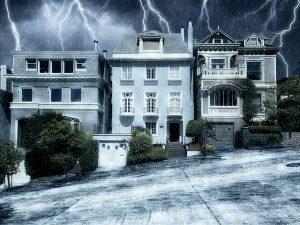 Depending on what’s the time of year you are moving, there are a few more things you can do to prepare yourself for this bad weather move. If you are moving during summer and you live somewhere where the weather can be extremely hot, we suggest you have a lot of sunscreen with you. As well as a hat to protect your face and sunglasses to protect your eyes. Don’t forget to have a lot of water available at all times. Water is good to have even when it’s freezing outside. But if that’s the case, we suggest you carry tea or coffee with you so you stay warm. If it seems like it’s going to rain, have an extra umbrella with you or bring a raincoat. As far as dressing for moving goes, you want to be comfortable. You want to wear something that you won’t regret ruining. So sweatpants or shorts, depending on the time of the year and the location of the relocation. But if you hire interstate movers Florida you won’t have to worry about ruining your clothes as they will try to do all the work themselves. If you are moving with children that is an even bigger task. Children sometimes don’t take moving very well, and having bad weather will ruin their mood even more. So make sure you keep your child happy in order to move in peace. You want to have access to all their favorite toys and snacks. This day, the only rule to stay stress-free is that everyone gets what they want. It’s similar if you have a pet. You want to be with your pet as much as possible. Animals sense when something isn’t right and when their owner isn’t happy. Try to stay positive at least so your pet doesn’t feel bad about the move. 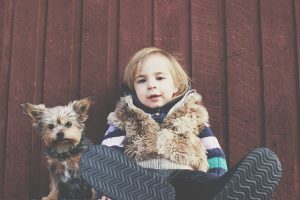 Keeping your child and your pet happy is important in order to have a stress-free move. Moving is tough and expensive. It’s even tougher and more expensive if you are moving in bad weather. Bad weather can really get you down but it can also make your move worse. There are certain things you can do to protect yourself and your family as well as your belongings. But sometimes, those aren’t enough. Hopefully, you remember to do everything we suggested you do and have a safe and stress-free relocation.